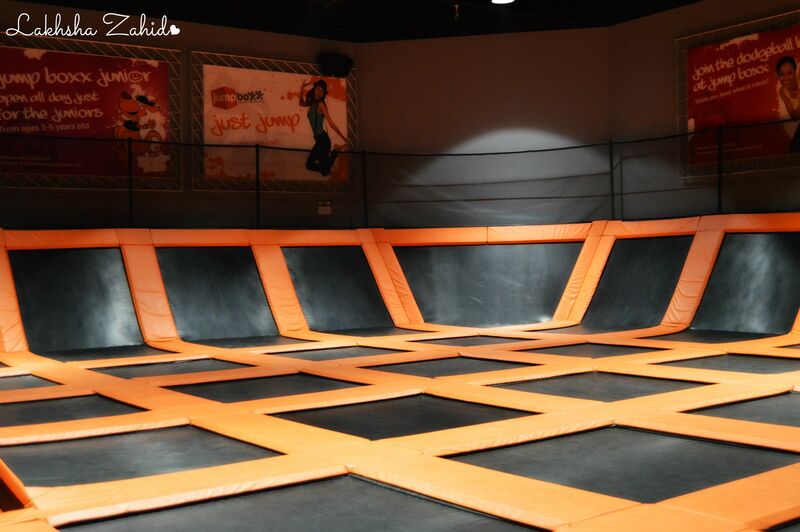 Jump-Boxx is Dubai’s newest Trampoline Park, which just turned 1! The playground is over 22,00 sq.ft (that’s really very large). 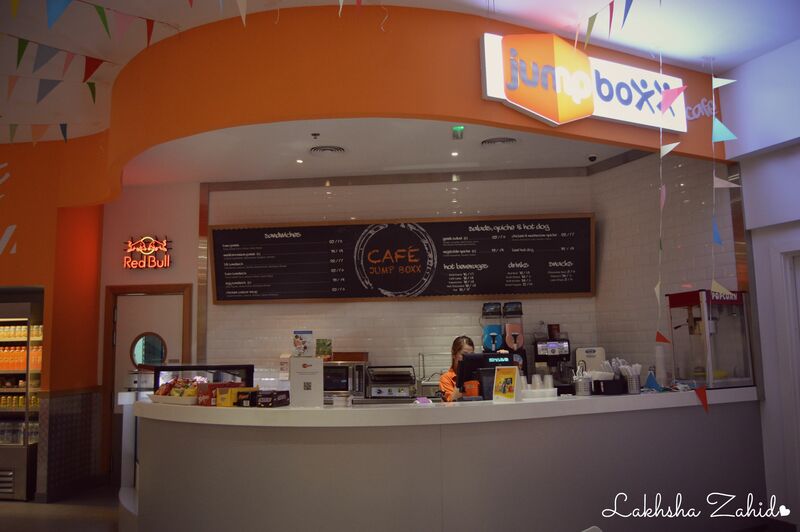 It’s located in Uptown Mirdiff Mall, on the first floor, right opposite to the Food Court! 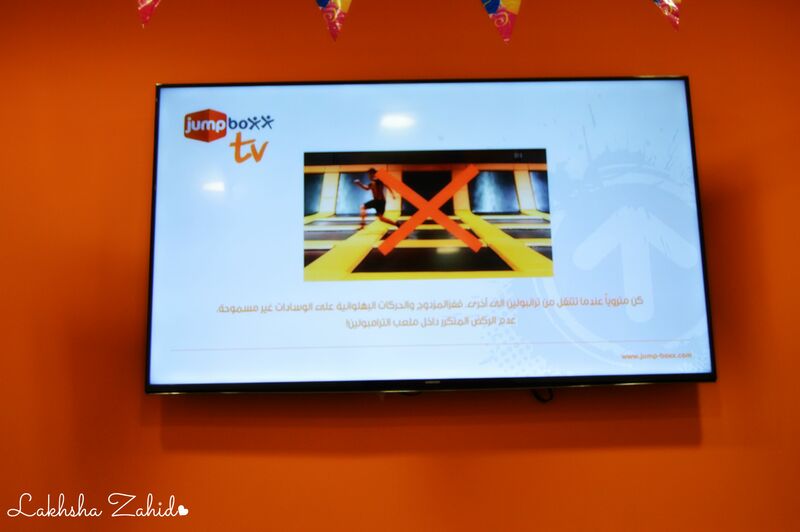 Jump-Boxx will also help you to lose some calories, so it would be a great option to at-least visit them once a week or month! The Trampoline also includes a Fitness Program with some great classes. Sunday and Monday 8 pm. Wednesday and Friday 8:30 am. Well, If you’re a lady and wish to have your own time without men, they have a ladies night every Wednesday from 4 pm – 10 pm. 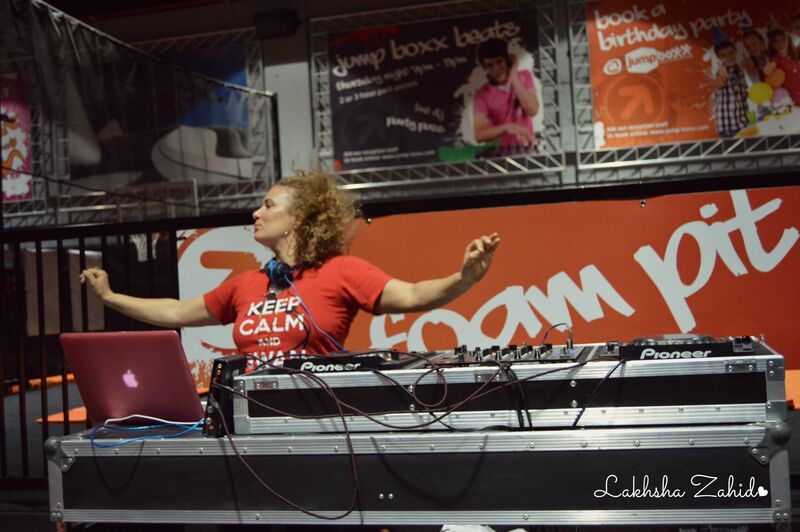 Live Female DJ starts spinning the decks at 6 pm. It’s simply so much better when all of the female staff is there with female guests. 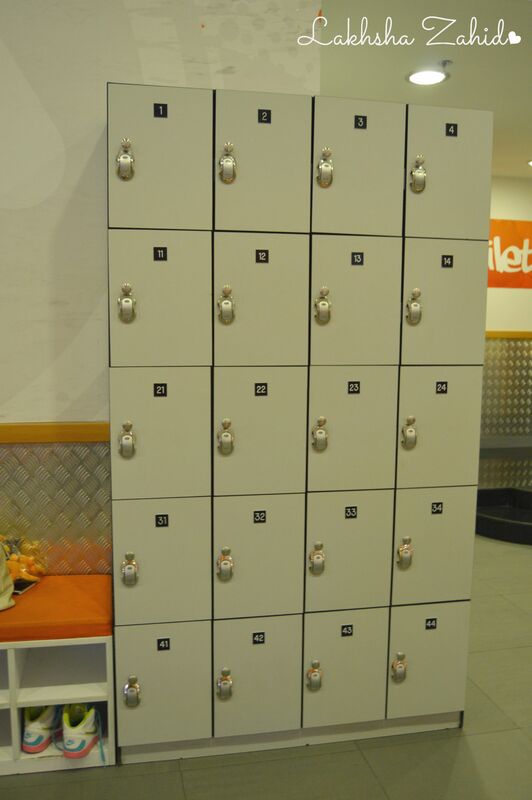 The locker is in a big size, so you can easily store things for 3-4 people. 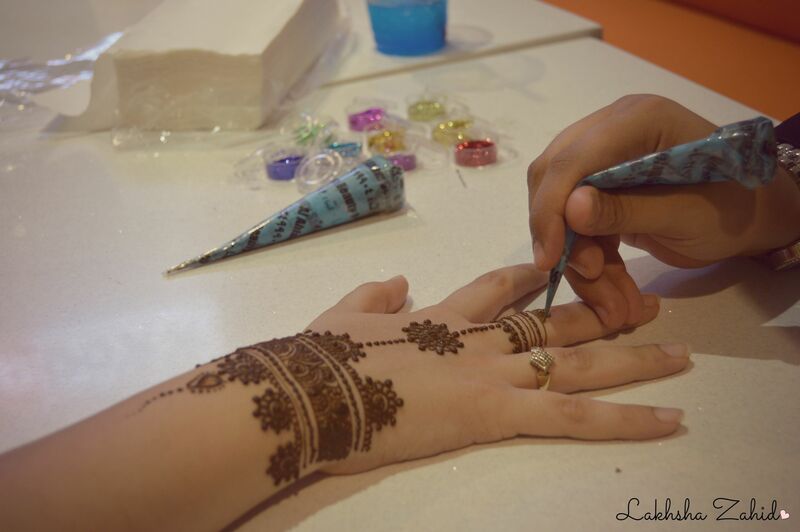 The entire week was Jump-Boxx birthday week, I went for a Ladies Night, with my sister and their return gift was a henna on my hand. They had various activities throughout the entire week like balloon bending, gifts, cake, free items, grand prize, buy one get one free and a lot more. As I’m a first time Jumper, I was shown a small 2 minute video of the rules and regulations of how you should be while jumping. Then I was given my pair of socks (they’re really comfy)! I wore the socks, left my shoes in the shoe rack and bag in the locker, and went right away to the jumping area. Along the way, saw some really friendly staff, who were quite happy, dancing around, enjoying the amazing atmosphere. I freshened up seeing them so jolly, and my nervousness for jumping the first time went away. 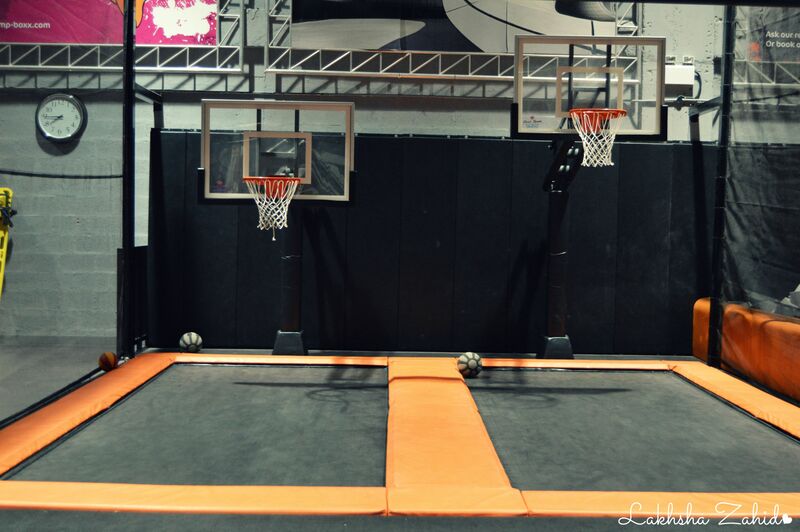 To start off, the basket ball went really funny, I played after really long! 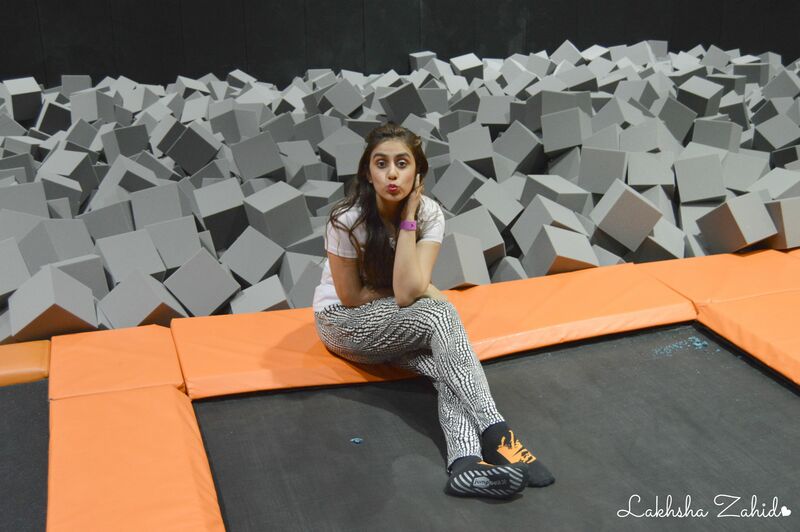 I didn’t get a chance to visit foam pit, since I was too scared. So I jumped off around, and enjoyed to the fullest. Finally, when you’re done with your jumping time, you can come back to the Refreshment area and buy some great drinks or snacks and sit in the court and enjoy. Overall, this was one of the best experience of my life and I just can’t wait to visit them again! I stayed there for one hour only since I was really exhausted from my university and came back late and directly rushed to Jump-Boxx! 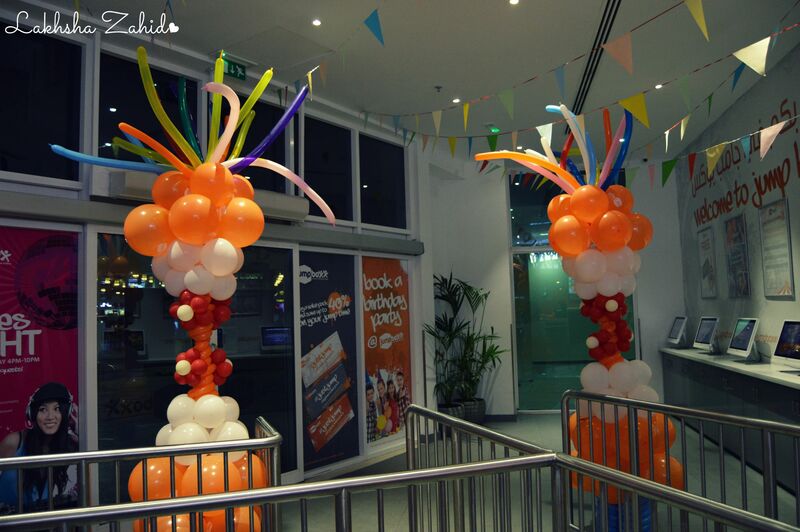 They handle parties and school visits too, so next time you doubt where to go, book it here! 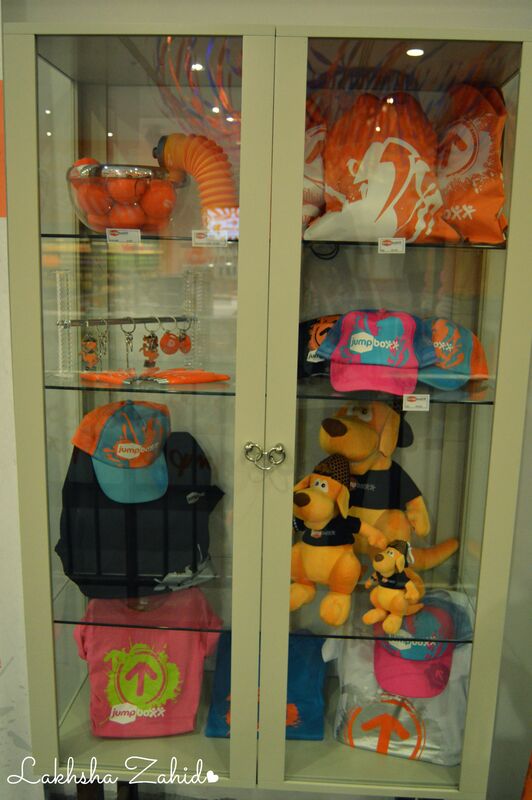 The orange and black color scheming was perfectly amazing, suits the place! Everyone there was really happy and enjoying their time! Me and my sister also went crazy there, started taking pictures, recording videos, falling, and laughing! Make sure you’re visiting them in your comfiest clothes to enjoy to the fullest. Pyjamas/Leggings and Shirt will be great. 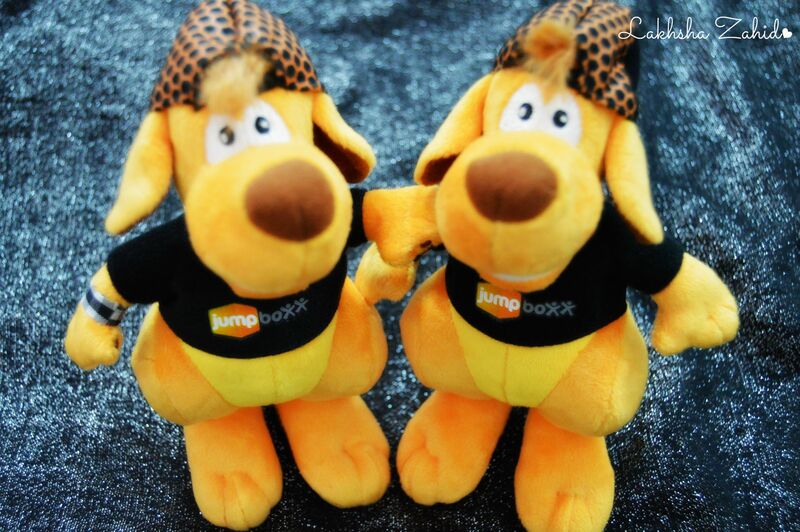 Thank you Jump-Boxx for the amazing experience and the lovely merchandise teddy! They’ve also got a huge variety of Merchandise goodies at a really reasonable rate such as caps, bags, teddy bears, key chain, balls, etc..
Have a good jumping time people! Thanks for your visit! 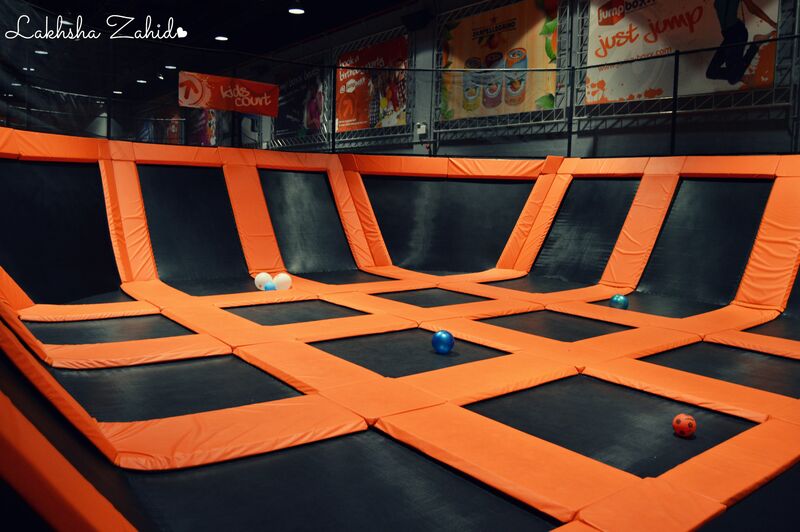 We are so glad you had a great time at Jump Boxx!